The customer acknowledges before placing the order, having read and understood of all these terms and conditions of sale. He recognizes in addition, having the capacity to conclude this contract. Our sales are subject to these terms and conditions. The fact that a user fills out the order on the site and confirms the order by clicking the button “Order”, is full acceptance of these terms and conditions, which are only applicable to the contract thus concluded. 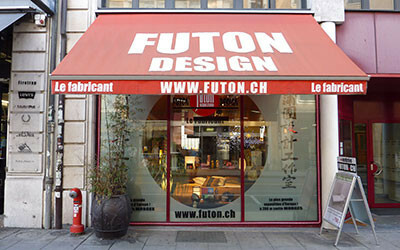 This contract is intended to define the rights and obligations of the parties in connection with the sale of equipment offered on the website of futon.ch, (Futon Design SA). This contract involves the purchase of goods and is concluded between futon.ch (Futon Design SA) and the customer. For stock items, the customers can pick them up from our warehouse in Morges, after confirmation by the store. For shipping, it takes about 2-5 days, or as soon as possible once the payment is received. For items that are not in stock, the customer will be informed of the estimated time of delivery. The items shown are images, they can vary in colors or textures, and may in no case involve the responsability of Futon Design SA. Confirmation, or refusal to accept an order, will be confirmed by e-mail at the time of the order, or no later than 72 hours after receiving the order. The prices charged are those in effect at the time of ordering, the VAT is applicable of the day of delivery. Assuming a delivery is made outside the Swiss territory, customs fees, transport costs and formalities are the sole responsibility of the customer. Payment is done through Paypal secure website with various credit cards, or by making the payment directly to our bank, indicated at checkout. Delivery is made to the address specified by the customer, either by our own services or by courier. The price of transportation are not included in the sale price, and are specified for each order. In all cases, a final confirmation for the effective costs of transportation will be agreed with the client for the order to be accepted. 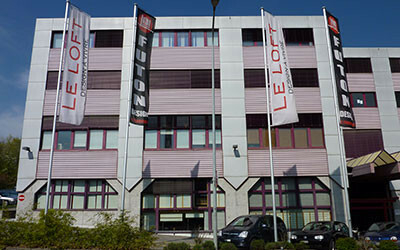 Includes liability up to a goods value of CHF 1’000.- per parcel. There is an option of incremental heigher insurance cover up to a maximum of chf 5’000.- against payment of a premium. This is to be organized by the client before departure. It belongs to the latter to verify the contents of the package at the time of delivery, and to make observation of any damages to the carrier immediately on the spot. In principle a date and approximate time of delivery will be determined in consultation with the client, either by mail or by phone. In no case, Futon Design Ltd can be held responsible for delays in shipments caused by a manufacturer, a deliveryman, a carrier or a freight forwarder. The client has a right of withdrawal of 7 working days from the reception of the goods. The items must be returned in perfect condition and sealed in its original packaging. In case of non-compliance with these conditions, a corresponding deduction will be made. Return costs are the responsibility of the customer, as well as all risks related to transport. Hygiene items such as mattresses, pillows, duvets etc., will not be returned or exchanged. Products are guaranteed against manufacturing defects for a period determined by the manufacturer but at least one year. The mattresses are guaranteed for 10 years against manufacturing defects, this 100% the first year, declining by 10% per year. If guarantee applies, shipping costs will be supported by the customer. The warranty does not cover: improper use, failure to comply with the instructions, or abnormal use of the product, negligence or fault of the Customer, as well as damage resulting from natural phenomena or accidents (water damage, fire …). Futon Design Ltd retains ownership of the goods sold until full payment. This rule does not preclude the transfer of risk born by the customer, after conclusion of the sale. These include risk of loss and damage. The parties expressly agree that this accord is subject to Swiss law. In case of dispute over the sale of products and the implementation and interpretation of these, the courts of Morges will have jurisdiction.